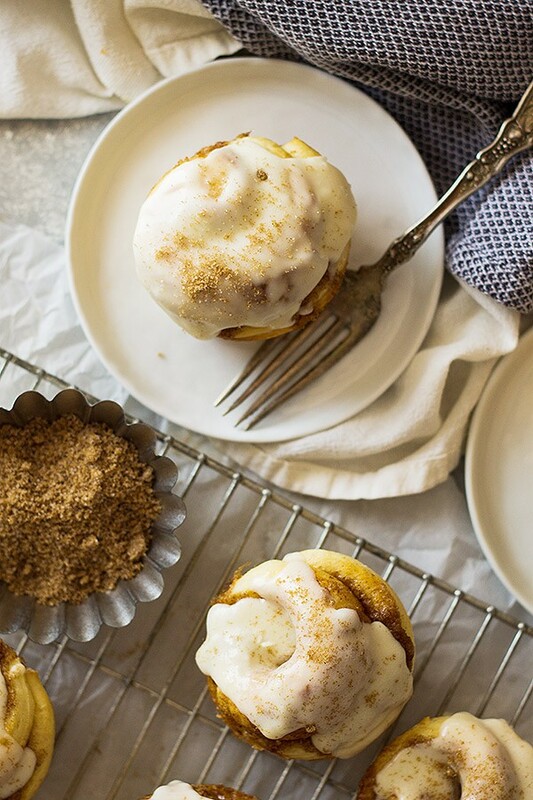 These Cinnamon Roll Muffins are a tender homemade yeast roll made in a muffin tin! Topped with a delicious vanilla icing makes these the perfect breakfast! I have put a little twist on the ordinary cinnamon rolls and I’m in love! I took my trusty cinnamon roll recipe that I always use, cut the recipe in half then used a muffin pan to cook them up. Making them super cute and fun to eat. 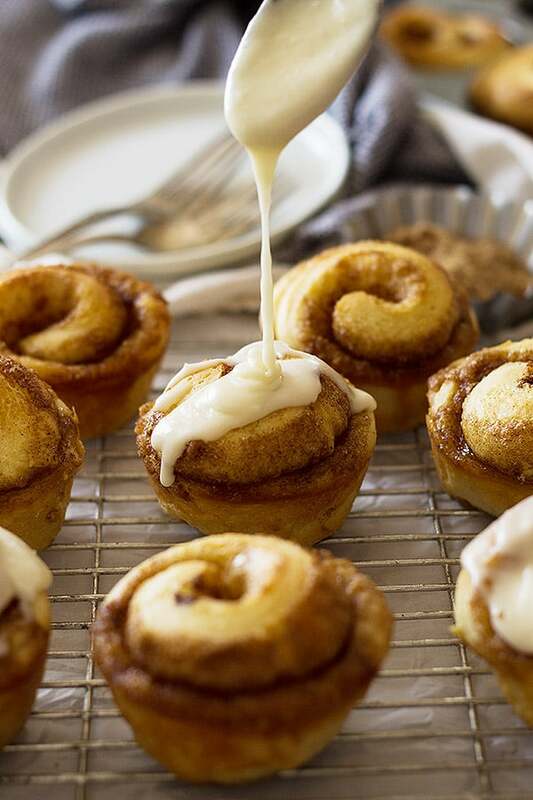 Cinnamon rolls happen to be one of my favorite things to eat for breakfast. Ok, that’s a lie I like everything when it comes to breakfast both sweet and savory. If you don’t believe me just check out my breakfast archives! 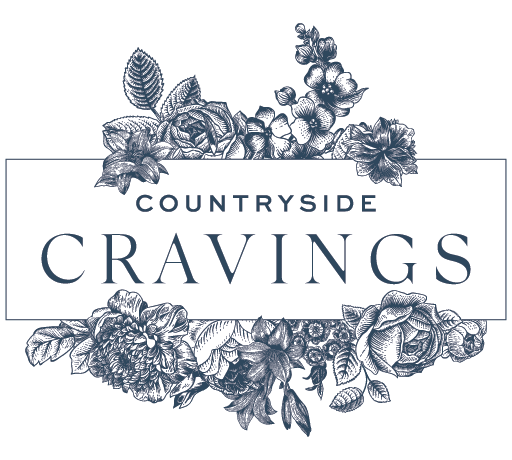 One of my favorite breakfasts in there would be these breakfast enchiladas and these ham and cheddar biscuit rolls and these double chocolate strawberry muffins…..ok I’m getting off track and really hungry now! Being 29 weeks pregnant carbs are my life! I was hoping my carb craving….ahem….obsession…..would calm down a little by now but it hasn’t. It’s still in full force, but hey the family gets to eat lots of yummy treats!!! 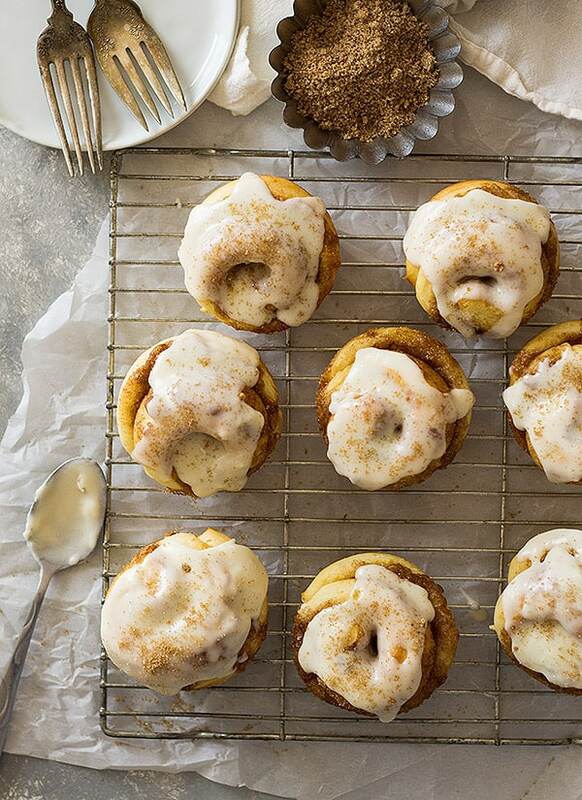 Ok, a little about these cinnamon roll muffins. As I said earlier I cut my recipe in half which was the perfect amount of dough. 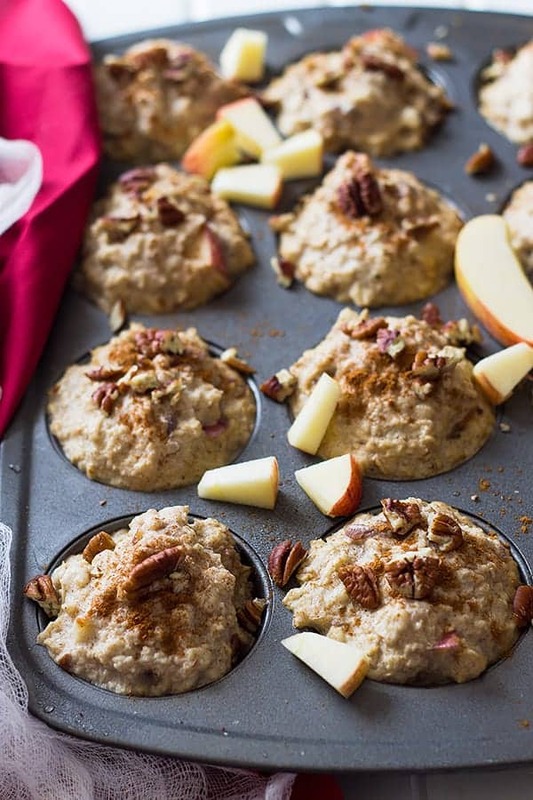 Now don’t be intimidated by the yeast in these muffins! Working with yeast really isn’t that hard but it does take a little patience and time. I promise it isn’t anything super complicated!! My biggest tip is to make sure your yeast is active if you haven’t used it in a really long time. You can do this by dissolving 1 teaspoon sugar in 1/2 cup very warm water (about 115 degrees F) then sprinkle one 1/4 oz. package of yeast over the top and stir it in. Let stand for 10 minutes and it should have risen to the 1 cup mark. If it hasn’t then your yeast isn’t very active and won’t work correctly in the recipe. If you do this test and want to use the yeast mixture be sure to deduct that liquid from the recipe. 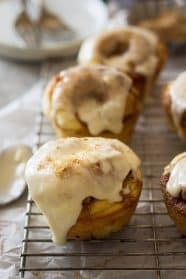 However, if you plan on making this cinnamon roll muffin recipe I would test using milk instead of water. 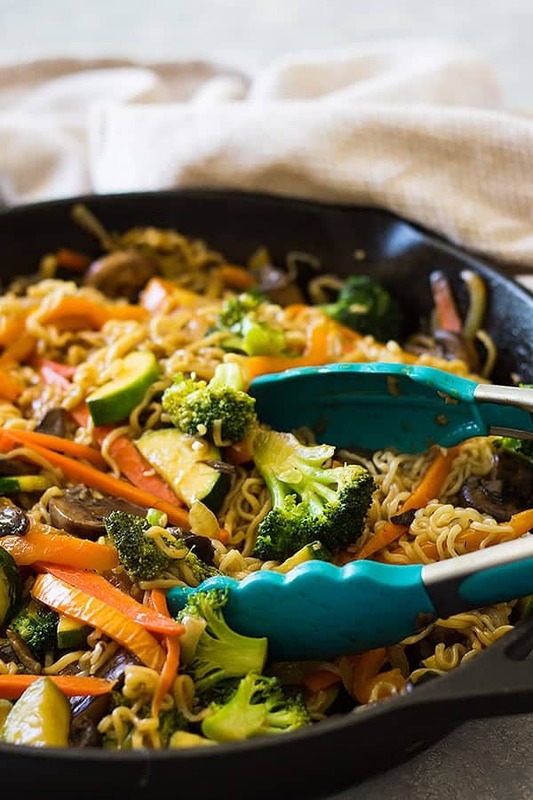 Now I could have eaten the entire pan myself (hey I am eating for 2 here!!) but I thought I would share with the kiddos and hubby. The family, of course, loved these cinnamon roll muffins and the pan was gone in mere seconds. Now if you can’t down all 12 muffins yourself and really don’t want to share with anyone (I don’t blame you) no problem!! Just cover the muffins well and they will keep for a couple days. They won’t be as fresh as when they were fresh from the oven. But you can zap them in the microwave for a few seconds to help freshen them up. If you would like to freeze them don’t frost them. Allow them to cool completely then place them in a freezer bag and you can keep them in the freezer for about 2 months. Let them thaw before frosting them. Hope you enjoy!! In the bowl of your stand mixer combine the flour, sugar, salt and yeast. Add the milk, egg and butter and stir just until it starts to combine then switch to the dough hook. Mix on a low speed for about 5 minutes and if the dough is extremely sticky to the touch (not manageable to handle) then add in a little more flour. Knead the dough for 5 minutes on a low speed. Lightly brush dough with a very small amount of oil then cover and let rise in a warm place until doubled in size (about 20-30 min). Grease a muffin pan really well and set aside. In a small bowl combine the sugar, brown sugar and cinnamon for the filling and set aside. Place dough on a work surface and roll out to a 12"x10" rectangle. Spread with softened butter then sprinkle with reserved sugar mixture. Starting with the longest side facing you roll up the dough and seal the edge. 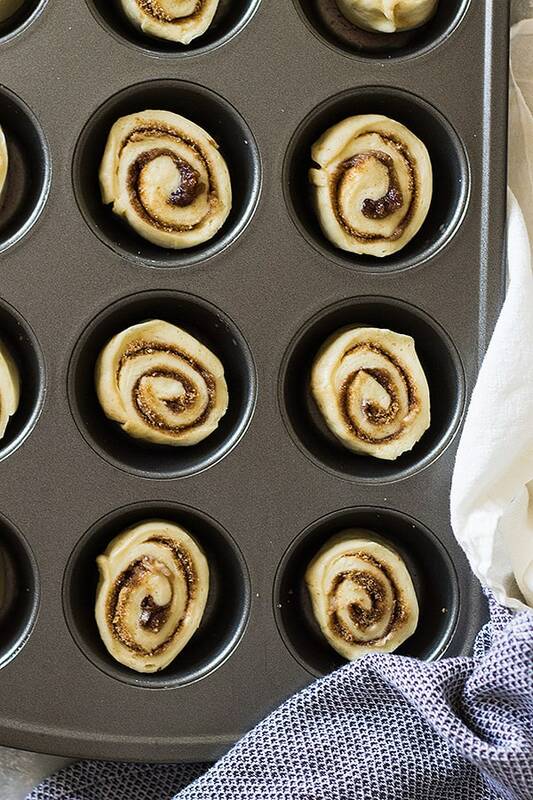 Cut dough into 12 one inch rounds and place one round in each muffin well. Cover and let rise in a warm place until doubled in size (about 20-30 minutes). Bake at 350 degrees F for 13-15 minutes or until lightly golden on top. Let cool in pan for 5 minutes before removing to cool completely. When ready to frost combine all icing ingredients in a small bowl. Then drizzle over the top of each muffin. These are best eaten the day they are made. However you can store tightly wrapped on counter for no more than 2 days or they will become really dry. Warm for a few seconds in the microwave to freshen if needed. If you would like to freeze them don't frost them. Let them cool completely then place in a freezer bag and freeze for up to 2 months. Thaw completely before frosting. Warm for a few seconds in the microwave to freshen if needed. 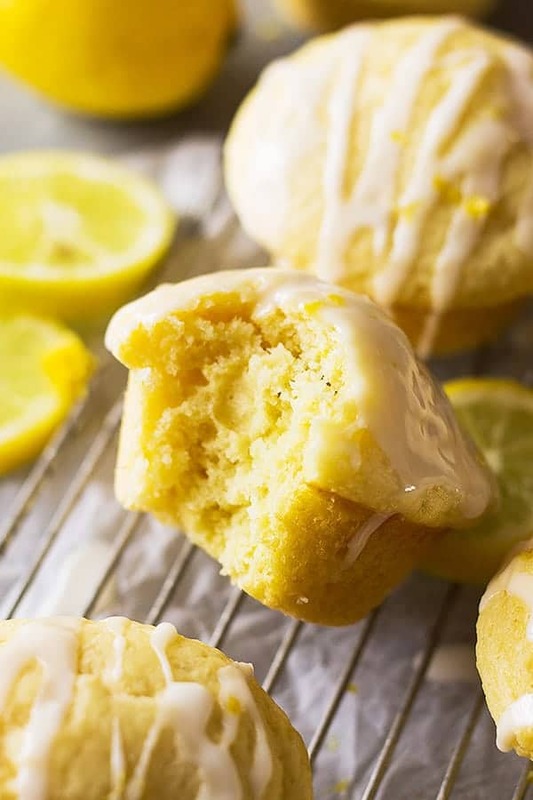 I’ve just discovered your lemon muffins and also this recipes. I’m in love with both, so my tremendous problem now is decide what to bake first! 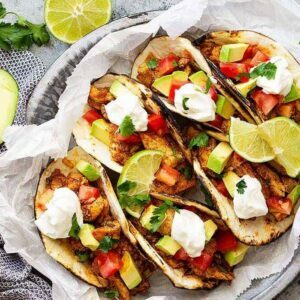 😉 Your recipes are amazing!!! !